Hardware startup Normal today launched (US-only) its line of custom 3D-printed earphones that you order using an app to take photos of your ear. Finding a comfortable pair of one-size-fits-all earphones is a difficult task. Headphones tend to be more forgiving since they’re not actually inside of you, but earphones that stay in when exercising without also giving you a headache are another thing altogether. To pre-order a set of Normal earphones, you’ll need to download the firm’s iOS or Android app, as there’s currently no Web shop. The app will help you take a series of photos as you turn your head to the side in order to get a clear picture of your ear. You’ll then choose custom details like color and then fill in payment and shipping details. Normal will also laser engrave your carrying case with a name of your choosing. The first orders are expected to start shipping within weeks with an eventual turnaround time of 48 hours once launch demand has been filled. Normal will 3D-print the part that goes into your ear and then assemble it with the rest of the earphone components. The $199 price tag includes New York tax and shipping. I haven’t heard how the earphones sound yet, but Kaufman reassured that the company has used the highest quality components it could find. I did get a chance to handle a prototype fitted for someone else, and the hardware has a nice feel to it. Normal was founded Nikki Kaufman, one of Quirky’s founding members. The firm raised a $5 million seed round from several VCs and angel investors. Kaufman said in an interview that she never thought she would leave Quirky until she realized that Normal was an idea that she “really had to go out and do.” After having poor experiences with off-the-shelf earphones, Kaufman looked into getting a pair of custom in-ear monitors made, but they were prohibitively expensive. In all likelihood, Normal won’t be competing directly with professional-grade monitors. Instead, the startup will go up against the likes of Etymotic, which offers a Custom Fit ear mold service for roughly $100. The real test will be whether Normal’s sound quality is able to match Etymotic’s entry-level MC5 line. When I first heard that Normal uses photos instead of a mold, I was very skeptical. Can smartphone cameras really provide fine enough resolution to 3D print a part that can compete with a physical impression? Normal, at least, stands by the quality of its product. 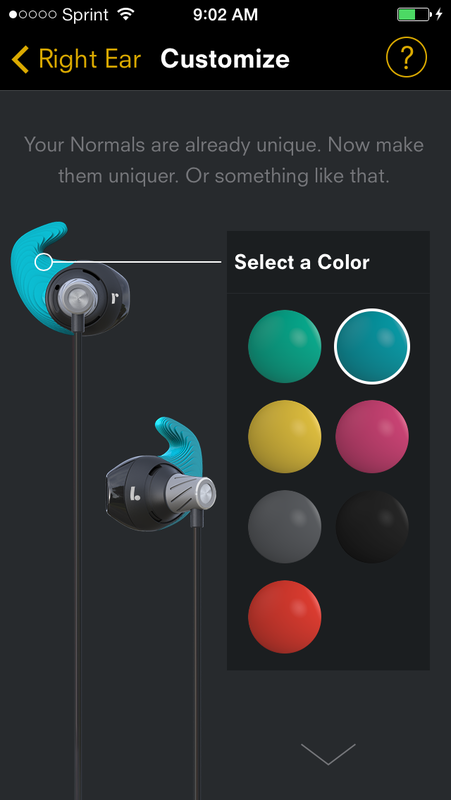 If you’re not happy with the fit, the startup is willing to redo the earpiece. There’s also a return flow built into the app in case you want to send it back. Normal may sound like a non-descript name for a startup, but it’s meant to dispel the notion that anyone has “weird ears.” In Kaufman’s mind, everyone’s ear holes are both completely normal and completely unique. 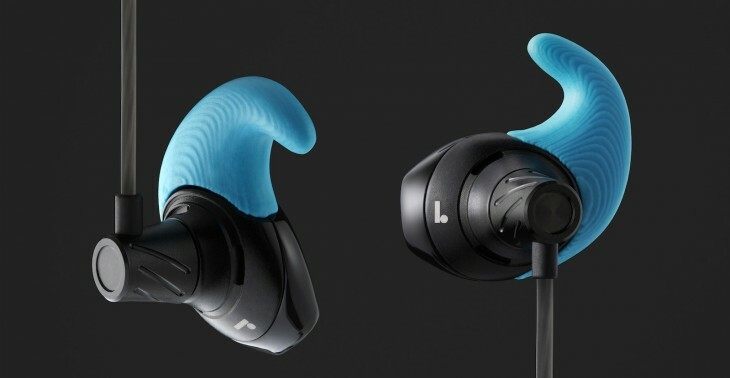 Pre-ordering a set of Normal earphones on launch day is a bit of an unknown, as you’ll have to take the startup’s own word about the fit and audio quality of the product. However, something tells me that Normal is going to sound as good as it looks.